Jericoacoara Ceara, with so much to offer. 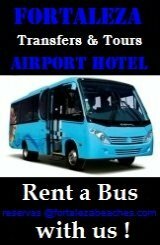 From this webpage you will find links to the best transport and hotel options. FORTALEZA BEACHES joined forces with World Hotel Link as their local expert in Jericoacoara. 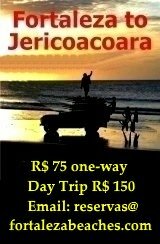 We look forward to helping you make the best choices for your Holiday in Jericoacoara and the surrounding region. If you don't find what you are looking for please feel free to contact us. 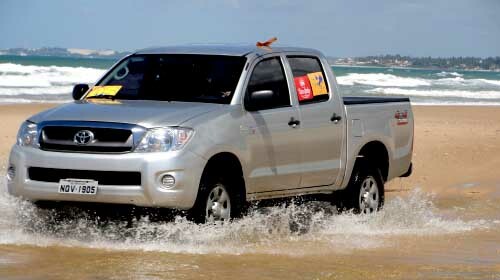 Jericoacoara Ceara retains its natural beauty because it is only accessible by 4 wheel drive. 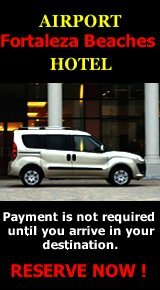 You can book a private transfer to Jericoacoara by paved road with the exception of the last 20 kms from Jijoca over the dunes. 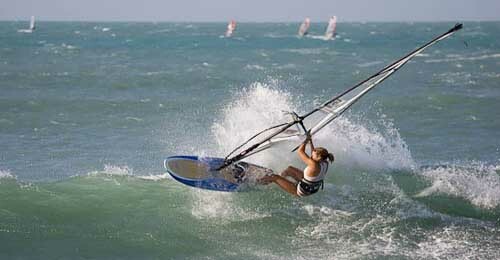 Getting to Jericoacoara can be just as much fun as being there ! 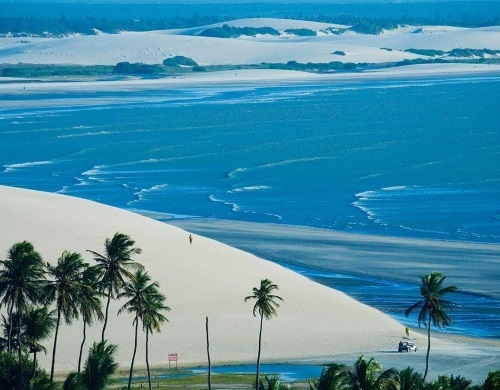 The Fortaleza to Jericoacoara Off Road Trek along the beach is the most popular adventure trip in the state of Ceara. Doable in less than 8 hours by 4 wheel drive vehicles with time for a fresh fish lunch and swim along the way. Your invited to join us ! Jericoacoara has over 100 hotels and pousadas to choose from. Fortaleza Beaches has narrowed it down to Jericoacoara's best places to stay. 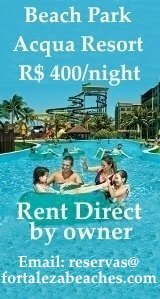 The most popular and frequented by those who live and work in and around Fortaleza, Ceara.